With the leadership of Joanne Bates, the library media specialist, the support of the library media parapro, Kathy Porter, the guidance of the principal, Karen Carstens, and the collaborative efforts of the teachers and staff, Tritt has shown a vision and commitment to 21st century learning and future-ready education. Their dedication to the library media program in three areas - services, resources, and intentional spaces - has had a tremendous impact on the teaching and learning at Tritt, and will for years to come. Collaborative teaching and learning is at the heart of a Library Learning Commons, and informs the design of both the program and the space. Click here to learn more about Library Learning Commons Certification. Congratulations to Tritt ES - the first to earn Library Learning Commons Certification! Learn more about our Library Learning Commons Certified Schools. ​The number of Library Learning Commons Certified schools continues to grow! 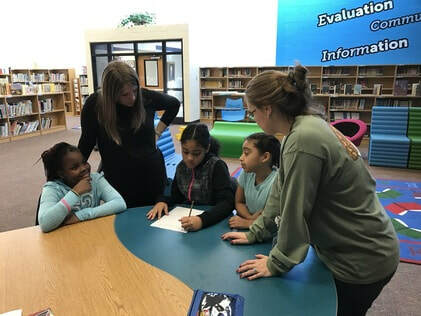 Beth Finnegan, library media specialist at Kennesaw Elementary, is the 2019 Cobb Library Media Specialist of the Year! "I am humbled and touched by this honor," Mrs. Finnegan remarked. "It is one that I celebrate with so many who have been part of my journey. From my amazing family, my incredible staff and administrators at KES, and to the wonderful media specialists in Cobb. I hope you all know what joys you are." Her principal, Brett Ward, acknowledges her impact. "Beth has gained the respect of the Kennesaw community as an instructional leader and mentor to children. She provides tremendous support to students, teachers, and parents. She truly engages students in real-world experiences to help them gain understanding of standards." Congratulations to Beth Finnegan on her honor as the 2019 Cobb Library Media Specialist of the Year! "Welcome to 8:30 Friday morning in the LC! We’ve got class checkout, research, small group discussion, and makerspace creations going all at the same time!" ​We are excited to welcome the author Lynda Mullaly Hunt to Awtrey! She shared with our top readers! Cobb County students can use their student ID to access Cobb County Public Library resources! 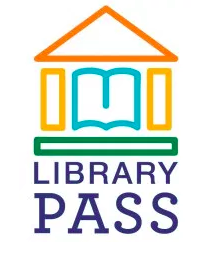 Access is made easy through a partnership called PASS: Public library Access for Student Success. In additional to all the resources your school's Cobb Digital Library has to offer 24/7, we've now partnered with the Cobb County Public Library for additional resources for homework help, research, ebooks, and more. You can even visit a local branch and check out up to 5 books with your student number! Students can access public library resources through their school's Cobb Digital Library or directly at ​www.cobbcat.org/librarypass/. Your PIN is your birthday is 4-digit format: 2-digit day and 2-digit month. Faculty can use their Cobb County Public Library card number and PIN or Educator card number and PIN. Wondering what's possible in a Library Learning Commons? Check out this short video of the Sope Creek Learning Commons. You'll be amazed to see what students can do! Special thanks to Megin Robinson, Sope Creek Library Media Specialist, and Hannah Bentley, 5th grade AC teacher. Check out this video about the recent learning commons transformation at Awtrey MS. Through instructional leadership and collaboration, students learn digital literacy skills, engage in creative thinking, and are prepared for their futures. 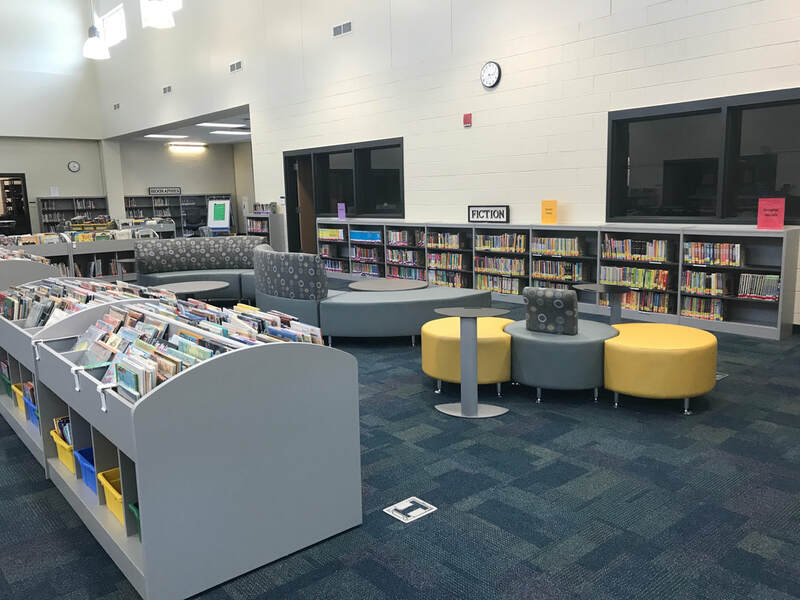 Mountain View ES opened a new building for '17-'18, and with it an all-new library learning commons. We are preparing students for future careers that don't exist yet. As library media specialists, we do this through our inquiry approach to research, encouraging students to ask thought-provoking questions, teaching them to use digital resources effectively to seek answers, and express their learning in compelling ways.